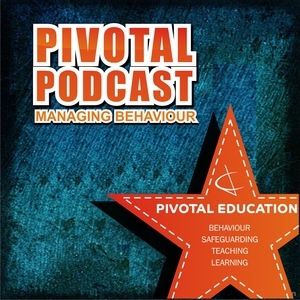 If you are reading this before 15th December 2014, before listening to the episode, please vote for the Pivotal Podcast in the Edublog Awards! We were delighted to be nominated and then short-listed for an award but we need as many votes as possible from listeners! Thank you for your help! We had a very wide-ranging and fascinating discussion this week with Debra Kidd who has been a teacher for more than 21 years. She started off in a Sixth Form College and then taught English and Drama in a secondary school where she became interested in the transition from Year 6 in primary school to Year 7 in secondary. Then she taught in primary schools and eventually teacher training courses in University before returning to the classroom to concentrate on the gaps she identified in Key Stage 3. 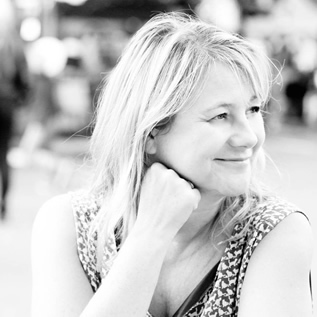 Finally, Debra left the classroom to get involved in various consultancy areas all over the world. This move was prompted by the way in which teachers are being led to use data to ‘justify our own existence’ rather than focussing on what’s best for the children. Debra feels that there was a low common-denominator being created in terms of expectations of children. The focus on pushing learners through exams was damaging them in terms of their human development, their sense of hopefulness and their confidence in the future. She felt that she was delivering a good educational experience for the children but it was almost impossible also to fulfil the demands of the senior leadership team who were living in fear of Ofsted. It’s an understandable pressure when headteachers are treated like football managers who are only as good as their last results. The tendency in that position is to push the pressure down. What we need now are lots of people questioning the system – and whether it is acting in the best interests of children. What changes should teachers be making? Pedagogical activism – use the power, the time and the autonomy you have in your classroom to build children’s conceptual understanding of their place in the world and their power to enact change. We should be allowing children to investigate what possible futures exist. Debra supports the aim for teaching to be a more researched-based profession but she believes that there should be a wider definition of what research is. The questions we ask shouldn’t just be about what gets children through tests but rather they should be bigger and better questions. Debra says that a wide consideration of the cultural aspects of international models is needed. For example, in Finland most television is subtitled UK and US content. This means there is a cultural push to be able to read in order to be entertained. Debra believes politicians are ‘driven by protecting their position – securing their next term of office’ and questions the trend for professional politicians who have never experienced another job before moving into politics. Also, she sees the desire to ‘make your mark’, and the fact that the education department is often seen as a stepping stone to something bigger are negative. She believes that these positions should be held by people who have experience in the area and are passionate about them. Debra acknowledges that the teaching profession is not going to be able to change this position overnight so she supports the creation of an autonomous professional body that makes some of the decisions about how we assess our children, what we teach them, what the purpose of education is and supplies the profession with CPD pathways. The body should have a 30-year vision and stick to it. Debra points out that if you set an average standard, then you are pulling people down as well as encouraging others to move up. She says that what’s happening is that we are losing the mavericks, the geniuses – we are losing the people who are trying to step outside the system and connect with children who aren’t responding to the norm. 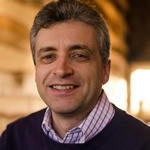 Dabra’s latest book is ‘Teaching: Notes from the Front Line’ and is available from Amazon (UK link). For much more detail, anecdotes and tips, listen to the episode!